Since 2011, Superior Viaduct in San Francisco has put together quite an eclectic roster of artists. That trend continues on their sub-label W.25TH with EXEK and their brand new brain-burner of an album, Ahead of Two Thoughts. Located in Melbourne, Australia, the 5-piece group of disgruntled post-punkers come off more as a band of doctors experimenting with a brand new (musical) life form. Back between 2011 and 2013 we had a bit of a hard-on for a Florida’s Dying band you may remember: Cop City/Chill Pillars. They dropped a small handful of records in that time frame, but then seemed to disappear. The type of itch that the Pillars of Chill scratched was far from common – like having an itch on a body part that you didn’t even know you had. Or an itch on a bodily mutation that sprung up from rolling around in some toxic filth. If you can imagine all that. EXEK from Melbourne are doing something strikingly similar (as in scratching that itch), but in a different way. To illustrate how, the band includes a saxophonist in their primary lineup. How they manage to include a sax into their twisted brand of post-punk is answered many times throughout their debut. The album kicks off with “U Mop” and it’s a mesmerizing track that becomes downright groovy about halfway through. This is your first true exposure to saxophonist Nell Grant. It begins slowly and deliberately with loose percussion and trippy bass lines. They give way to these strung out washes of guitar, which, strangely enough, add a bit of neon-tinged color to the shadowy backdrop. The final leg of the song reveals a clangorous and funky mixture of these elements, hereby solidifying your interest for the ensuing 36 minutes. “Punishment” opens for a devastating 7-minute slow burn that again reveals an infectious warble you did not see coming. The track stumbles along, much like your Sunday morning hangover, for almost two minutes. Before you realize it, you’re right in the midst of a downward spiral. Guitars shimmer and shine through the sludge, but they offer more texture and noise than your typical rhythm or melody. Vocals emerge through the thick smog as demonic chanting, providing the track with its own hum-worthy “chorus,” if we can call it that. “To Medicine (Biased Advice)” opens with an intentionally clumsy rhythm that’s supported with deep bass throbs. It’s a tricky one to say the least, with so much dissonance flooding the atmosphere you can reach out and squeeze it – and it’ll leave a sticky black slime on your palms. “Elevator Etiquette” comes as a late album highlight and it’s as dark and moody as the rest of ’em. There’s a growing layer of creeping noise throughout the extended track, eventually sounding like sheet metal being forced through a paper shredder. Some wobbly synths emerge toward the conclusion, adding an unforeseen dash of cosmic color. Get your ears acquainted right here, right now. Use the links below the music to find out more about EXEK and where to buy the LP. 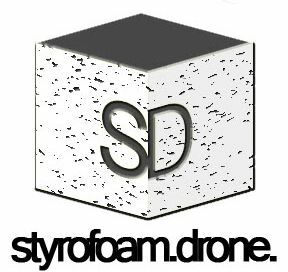 Posted on March 2, 2018 by styrofoamdronePosted in LP, ReviewsTagged experimental, gothic, noise, post-punk.